Highway 21 Feeders Ltd. is a full service custom feedlot located in the heart of south central Alberta. We offer complete buying, selling, financing and risk management services designed to maximize investor returns and capture the full genetic potential of feeder cattle. The lot capacity is currently at 20,000 head. Our landscaped and sheltered pens range from 100-600 head capacity. Water is supplied by an expansive underground and surface water system designed for reliable water delivery. Conveniently located off Highway 21, the lot has easy access for cattle and feed movements. The Acme area climate is ideal for cattle production with low rainfall and winters characterized by warm Chinook winds. The Highway 21 Feeders finishing and backgrounding rations are based on mixed hay, cereal silage, rolled tempered barley and supplemental premixes. Liquid fats are included in the rations when economically feasible. Effective quality control systems ensure only high quality systems enter the rations and all rations are nutritionally balanced to achieve optimal cattle performance. Effective induction and animal health protocols ensure peak pen performance and minimal morbidity and mortality risk. Highway 21 Feeders also offers an integrated backgrounding program based on low cost rations, summer grazing and fall feedlot finishing. Western Canada has a ready source of feeder cattle. Feeder cattle are sourced from the four western Provinces and northwestern U.S. pens of cattle are quickly placed through the coordination of order buyers working in all major market areas. Tight orders and consistent cattle grading upon arrival ensures competitively priced pens with uniform production and marketing characteristics. Once placed in the lot, an accurate production and financial performance projection is completed and transmitted to prospective investors. Shares of pens for sale are then sold on a first-come-first-served basis. Clients are also welcome to manage their own cattle procurement needs. Want to add value to your calves? Give us a call to talk about retained ownership and financing opportunities (feed and/or cattle). We're happy to walk you through the process of managing risk through falling prices and establishing a floor price for your calves so you can sleep at night, which still taking advantage of owning your own calves through the feeding period. If you think your calves will outperform the average market calf at the auction mart, give us a call today! The feedlot is central to Alberta's major slaughtering and processing facilities. Individual carcass-based selling programs can be made available through the feedlot. Cash and contract bids are also received from several US packing plants. Value-based marketing programs are also available to clients who believe their cattle will perform well in a graded discount and premium system. Highway 21 Feeders Ltd. offers professional risk management consulting including: feeder cattle contracting, live cattle contracting, feed grain contracting and Canadian dollar contracting. Risk return is managed through the disciplined use of futures contracts, forward contracts and options depending on the daily assessment of the risk. We view return risk in three primary components: Price risk, basis risk, and production risk. Lyle Miller is available for all your consulting needs; however, each customer makes the final decision to either put on a position to hedge their risk, or to leave their cattle unhedged. 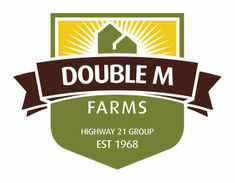 Ask us about Highway 21 Feeders' guaranteed cost of gain program! 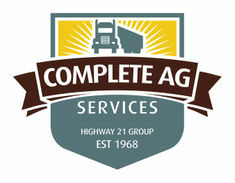 Check out our Custom Ag Services and Farming Divisions!